On a beautiful Saturday afternoon I joined about four hundred other women for an afternoon of fellowship at Westside Baptist Church. 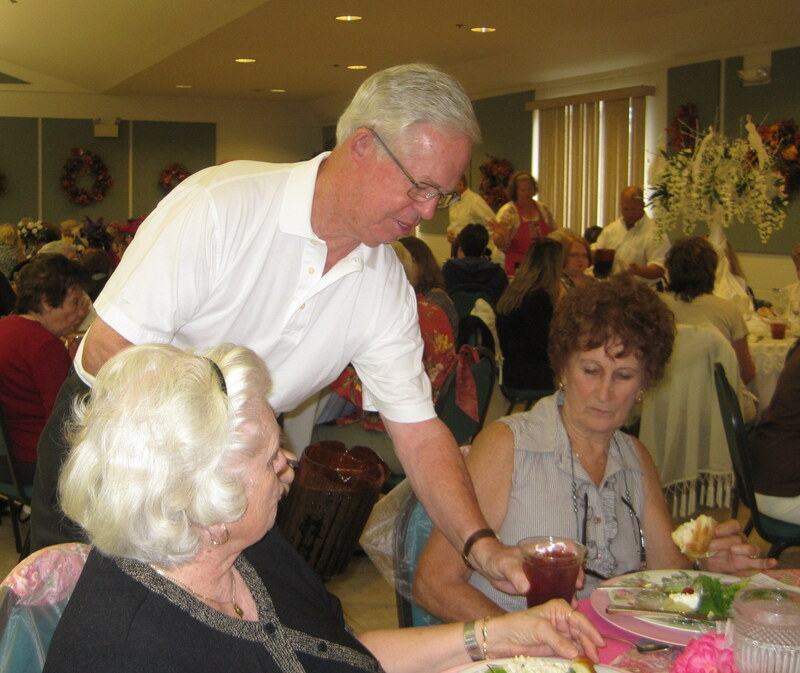 The event was our Westside Annual Festival of Tables. Each table is decorated by the group of women sitting at it and the themes covered everything from Christmas and Old World Florida to Fairy tale Princesses and birthday parties. 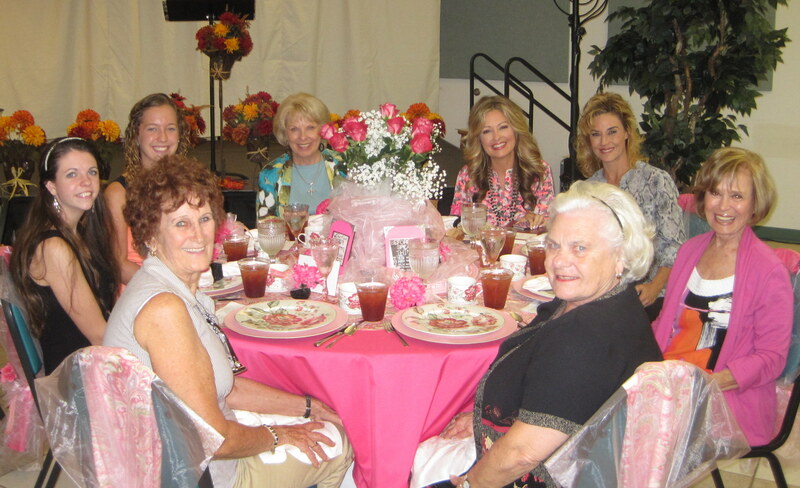 My friend Jan Albritton and I were fortunate to be the hostesses for our guest speaker Michelle Gage and we sat at the “Rethink Pink” table which was a tribute to the theme of Michelle’s inspirational presentation. A one time finalist in the Miss Oklahoma Beauty Pageant, Michelle is now a mother of three and co author of the book “Rethink Life.” According to Michelle, “most of us approach life based upon childhood influences or what popular culture says is normal. When we understand the eternal purpose and role God has for our lives, it changes everything.” Michelle, along with her husband, Pastor Rodney Gage, founded the Rethink Life Church based in Orlando. The Annual Fall Festival is set up and arranged by the Ladies of Westside Baptist Church. 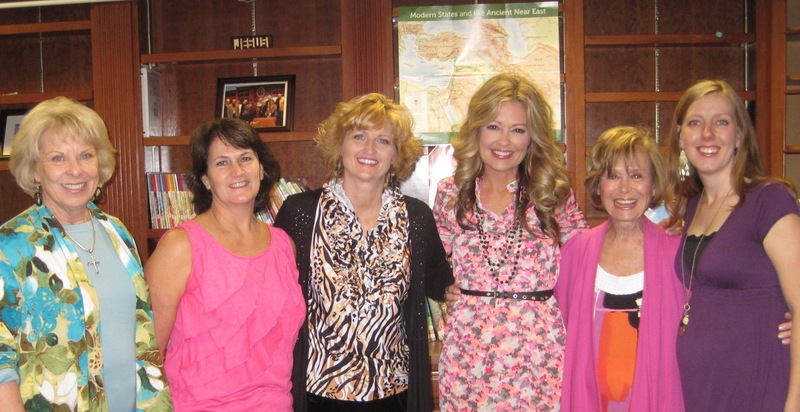 It is a special afternoon for the gals…and to add to the fun husbands volunteer to be our servers. Trust me, a hubby who is all thumbs in the kitchen can be awesome when it comes to hoisting a tray of glasses filled with iced tea or plates with towers of peach melba cake.